What really surprised people was the fact of female gladiators. They rarely appear in popular culture. Despite the popularity of Xena Warrior Princess and the myths of the Amazons, female gladiators don’t come to mind in the media-soaked imaginings of brutal, bloody, gladiatorial games. Women warriors? Maybe. Women gladiators? No. Yet they are there in grave markers, classical literature, laws, and art. All you have to do is look. One organizer in Ostia brags on his tombstone that he was the first person to put women in the arena as fighters. Tacitus in his Annals mentions that Emperor Nero regularly had female gladiators in his shows. Suetonius tells us in his Life of Domitian that the Emperor once staged a performance at night where women fought other women by torchlight. Martial in his description of the entertainments in the Flavian Arena (the Coliseum) compared the women’s feats to those of Hercules. Some of the strongest evidence we have of female gladiators is in the law—recruiting and fighting women was banned, not once, not twice, but three times! Augustus, the first emperor, implemented lots of laws restricting women. Among them, in AD 11, he decreed that freeborn females under the age of twenty were forbidden from appearing on the stage or in the arena. In AD 19, he extended that to prohibit “gladiatorial recruitment of daughters, granddaughters, and great-granddaughters of senators or of knights, under the age of twenty.” In 200, Emperor Septimus Severus banned single combat by women in the arena because of “recrudescence among some upper-class women, and the raillery this provoked among the audience.” These prohibitions probably made the fights all the more popular, human nature being what it is. Although we have no mosaics showing female gladiators, we do have a couple of art depictions: a bronze statue of a woman in gladiatorial dress and a stone relief found in Halicarnassus (modern Bodrum, Turkey) showing two women equipped as gladiators and fighting without helmets. 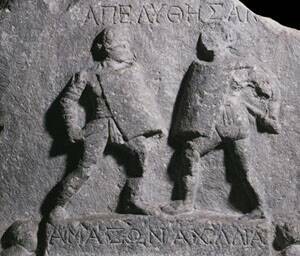 The Greek inscription on the stone relief says Amazon and Achillia (obviously stage names) fought bravely. I saw this piece in the British Museum and the image of those two women haunted me. They were real women who lived and died centuries ago. Who were they? Where did they come from? How did they feel about their lives? That’s when I decided to tell their story. Well, not their story—no one knows their background or fates. I had to create my own characters. One of the non-fiction authors I consulted felt Nero encouraged the expansion of women in the games, so I looked closely at his reign and found two remarkable events that happened, in the same timeframe, at opposite ends of the Empire: an expedition to Kush and the British revolt. Both involved cultures where women were valued as more equal partners in life and government than in Rome, and both had powerful queens who defied Roman power—one unsuccessfully in battle, one successfully with guile. These cultures provided plausibly strong (both in body and character) female protagonists. I created Afra and Cinnia to stand in for those two women carved on the stone. 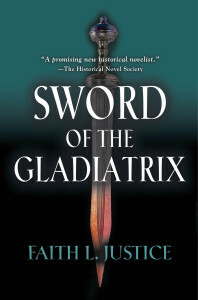 I hope you enjoy their story in Sword of the Gladiatrix. This article first appeared as a guest post at Relevant History. I think that is really amazing. Something that strikes me as particularly intriguing is the fact that high-born women were attracted to take up gladiatorial combat on such a scale that it was considered necessary to prohibit them from doing so. I was so surprised to learn about the prohibitions. They might have been preemptive, but I doubt it. Sounds wonderful, Faith. I also look at Roman legislation when researching. 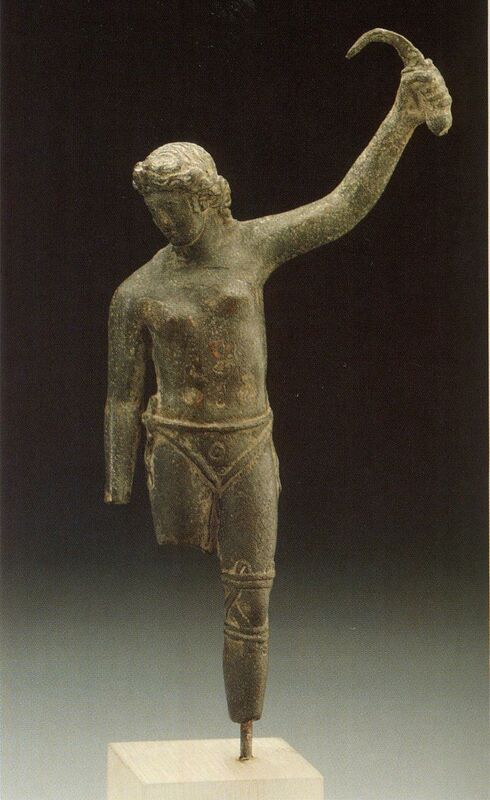 Invariably you can glimpse the lives of Roman women from what the legislators are trying to prohibit them from doing! Thanks, Elizabeth. Some things never change!